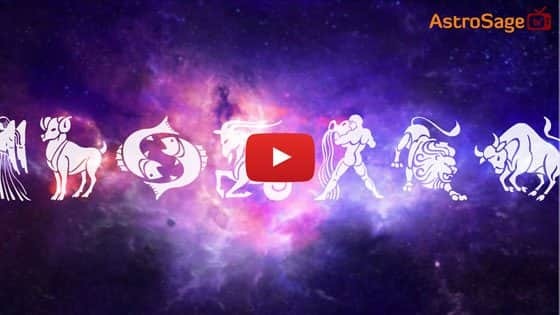 When Is Govardhan Puja In 2019? Govardhan Puja holds extreme importance in Hindu religion. This festival exemplifies the nature and the human beings. According to the Hindu Calendar, Govardhan Puja or Annakoot is commemorated on the first day of Shukla Paksha in the month of Kartik. This festival is celebrated throughout the country, but its essence reaches acme in North India specially in the areas of Vraj Bhumi comprising of Mathura, Vrindavan, Nandgaon, Gokul, and Barsana. The above mentioned places are significant with respect to the festival as here itself, Lord Krishna encouraged the people of Gokul for Govardhan Pooja and zapped the arrogance of Lord Indra. 1. Govardhan Pooja should be celebrated on the first day of bright half of the Hindu lunar month of Kartik. However, there’s a condition to it, as per the sacred texts, the moon should not rise at night within the given time period of Puja Muhurat. 2. If on the first day of bright half of the Hindu lunar month of Kartik at the time of sunset, there is a probability that Moon would rise then Govardhan Puja should be done on the day before. 3. If at the time of sunrise Pratipada date prevails and there is no sign of Moon rise then, Govardhan Pooja should be celebrated on the very same day. And if it is not so, then Govardhan Puja should be done on the previous day. 4. When Pratipada date prevails upto 9 muhurat after the sunrise no matter there is a moon rise in the evening but there should be a non existence of complete moon rise. In this condition Govardhan Puja should be celebrated on the same day. Govardhan Puja is very significant in the life of the people of India. There is also a tradition of worshiping Lord Varuna, Indra and Agni on this particular day. On this day, Govardhan Parvat, Godhan indicating cow and Lord Krishna holds uttermost importance. This festival proclaims us a message that human life is largely dependent on the basic elements and resources of nature and hence, we should be respectful and thankful to our Mother Nature. It is Govardhan Pooja, through which we express our respect towards the natural resources which we procure. 1. On the day of Govardhan Pooja, Govardhan made from cow dung is made and are bedecked with flowers. Usually Govardhan Puja is done either in the morning or in the evening. During the Pooja, water, fruits, incense sticks and oblation are offered to Govardhan. Also on this very day, cow-bull and animals used for agricultural purposes are also worshiped. 2. An effigy of Govardhan Ji is made from cow dung on the ground and a clay lamp is placed on the naval. Put milk, curd, gangajal, honey, crystallized sugar (bataashe) in the lamp during the puja time and after that prasad is distributed. 3. After the puja, everyone hails for Govardhan Ji while revolving around the idol. While doing this, water from a vessel is made to spill and the revolution is completed by sowing the barley on the ground. 4. Govardhan Giri is known as a form of God and worshiping him on this day strengthens you financially, auspicious for the betterment of children, and for enhancing the cow milk. 5. On the day of Govardhan Pooja, Lord Vishwakarma is also worshiped. On this occasion, machines are also worshiped in the factories and industries. 1. The festival of Govardhan Puja is a dedication to nature and Lord Krishna. On this occasion religious ceremonies and bhandara (a feast for all) are organised in the temples throughout the country. After the puja, food is distributed among the people as Prasad. 2. Revolving around Govardhan Parvat on the day of Govardhan Pooja has a significant thrust. It is believed that by making the revolutions, blessings of Lord Krishna is seeked. The significance of Govardhan Puja has been described and elaborated in the Vishnu Purana. It is believed that Lord Indra was high handed with his powers, so in order to shatter his arrogance, Lord Krishna came to the front. According to a myth, once people in Gokul were preparing various delicacies and were singing songs with great enthusiasm. Seeing this, Bal Krishna asked Maa Yashoda that for which occasion people are making preparations. Maa Yashoda answered that they are worshiping Lord Indra. Then, again Krishna asked Maa Yashoda that why do they worship Lord Indra. Maa Yashoda answered that they receive a good downpour, fodder for cows and production of cereals by the grace of Lord Indra. On listening to his mother, Krishna said that if it is so then they should worship Govardhan Parvat because cows feed on the grasses and plants & trees form the reasons for good rainfall. People of Gokul agreed to the Krishna’s context and they started the Puja. On witnessing this, Lord Indra became indignant and in order to avenge for his insult started torrential rains in Gokul. On seeing this heavy downpour, people of Gokul were terrified and panic stricken. Then, Lord Krishna by exhibiting his powers lifted the Govardhan Parvat on his little finger and made the people of Gokul to come beneath the Govardhan Parvat. Observing this, Lord Indra made rain more and more heavy, but even after 7 continuous days of extreme rainfall people of Gokul were safe enough. Then, Lord Indra realised that the person confronting him is not an ordinary person. When Lord Indra discovered that he was challenging Lord Krishna, then Lord Indra apologised to Lord Krishna and he himself worshiped Lord Krishna. This is how began the worship and the essence of Govardhan Parvat. On the day of Govardhan Pooja, revolution around the Govardhan Parvat is very consequential. Govardhan Parvat is situated in Mathura district of Uttar Pradesh where every year lakhs of devotees visit there to make revolutions around the Govardhan Parvat. On the occasion of Govardhan Pooja, Annakoot is organised in the temples. Annakoot means mixture of various cereals which is used as an offering for Lord Krishna in order to worship him. At some places, khichdi of pearl millet is prepared and in addition to this Puri is also prepared. Together with Annakoot, sweets made from milk and various delicacies are prepared to offer as ‘bhoga’ to Lord Krishna. After the Puja, these delicacies are distributed among the devotees. In various temples, the during the occasion of Annakoot all night vigil, songs & dance is also performed and a prosperous life is yearned by the adoration of Lord Krishna. We at AstroSage wish you a very happy and prosperous Govardhan Puja!